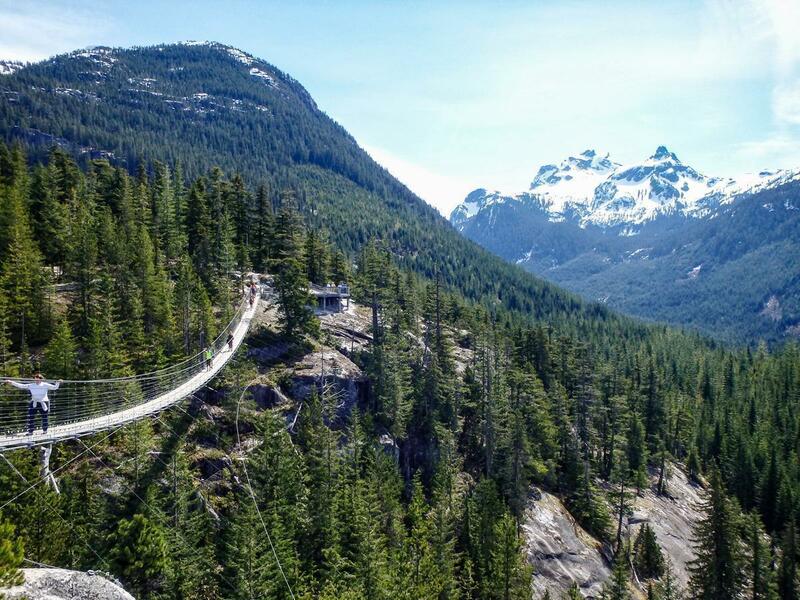 British Columbia native, Emily, shares her top 10 places to visit on the beautiful West Coast, Canada, with plenty of nature, outdoor activities, and things to do in Vancouver and Victoria. West Coast? Best Coast! As a West Coast native, I am admittedly biased. I believe the West Coast of British Columbia, Canada, is one of the most extraordinary places in the world but not only because I’m from here. 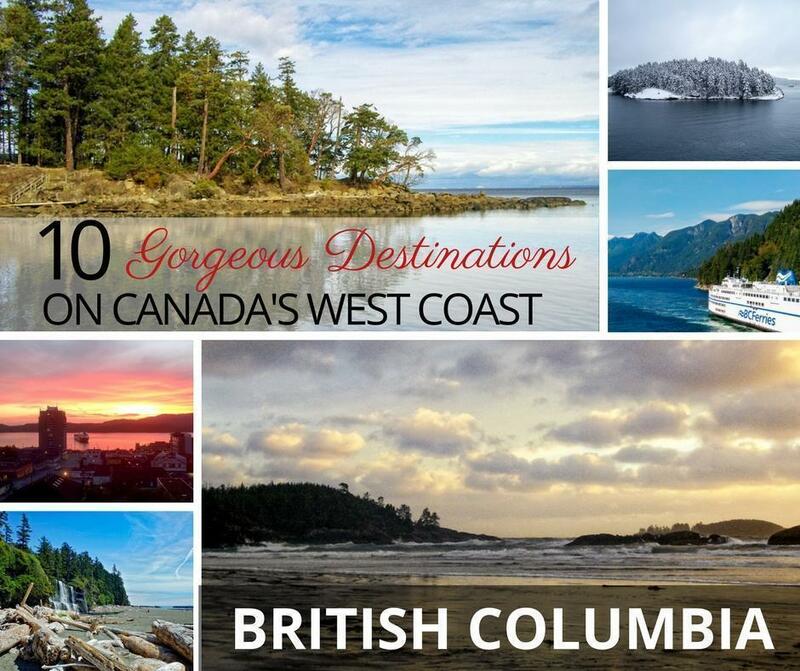 British Columbia is like no other province in Canada and boasts so many incredible opportunities to come face to face with coastal beauty it really can’t be argued. 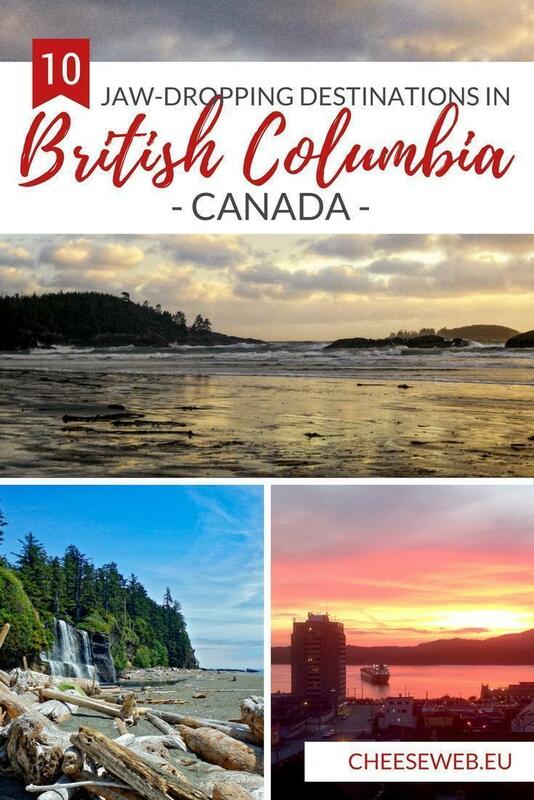 A trip to BC must include some major coastal hotspots, though there are some absolute dream hidden gems the savvy traveller will want to add as well! Victoria, British Columbia’s Inner Harbour. 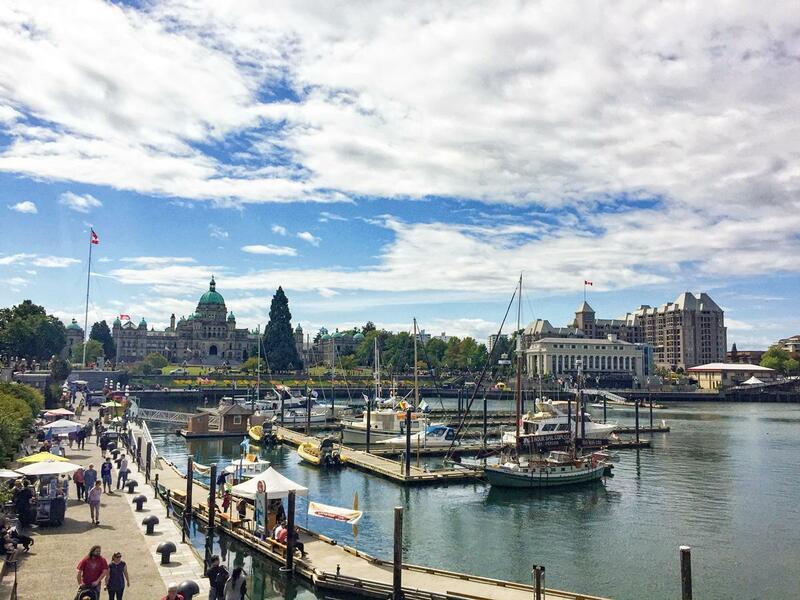 Not surprising, Victoria is both the provincial capital and one of the prettiest cities in the land. Located at the southern end of Vancouver Island, Victoria retains that British colonial flair mixed with an easy island mentality. Said to be full of ‘newlyweds and nearly deads,’ Victoria is chock full of students from the three universities in town and has so many different neighbourhoods the character of the city seems to change every six blocks. Home to the monumental Empress Hotel (get dressed up for high tea!) and the Royal British Columbia Museum’s impressive collection of West Coast Indigenous Art (I worked at the museum for a summer during the Titanic exhibit! ), there is a tonne of things to do in Victoria to keep you busy. Like a local, a stroll down the Dallas Road seawall serves up epic views of the Olympic Mountains or head out to Goldstream in October/November and check out the yearly salmon run. 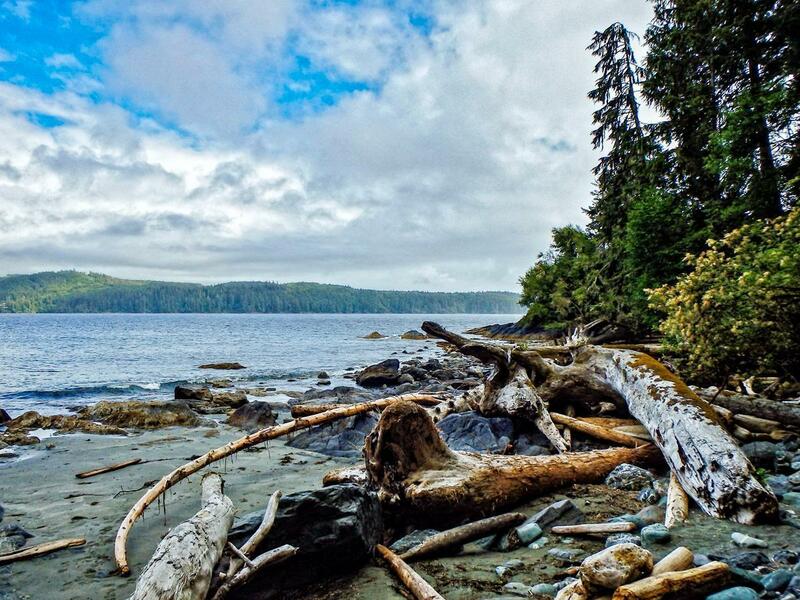 Not for the light of heart, the West Coast Trail is a 7-day, 77km hike that leads the trekker from Bamfield to Port Renfrew on Vancouver Island’s West Coast. 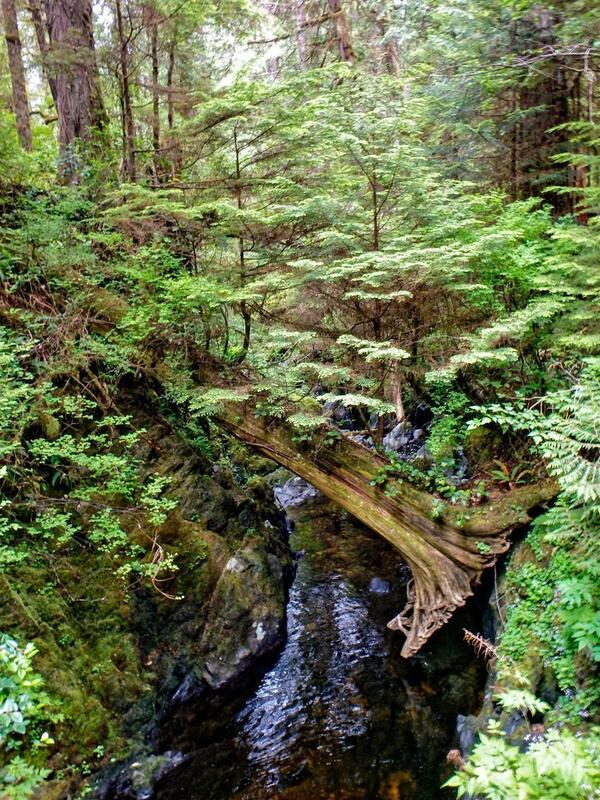 The entire trek is in the Pacific Rim National Park and goes from beach to old growth rainforest and beyond. Never sure when you may spot whales off the rocks or hear the bellow of sea lions, hiking the West Coast Trail was a dream of mine for years and once I survived, one of my biggest accomplishments. Completely backcountry, the WCT is not the easiest way to experience the West Coast, but it does provide a perspective superior to any other. 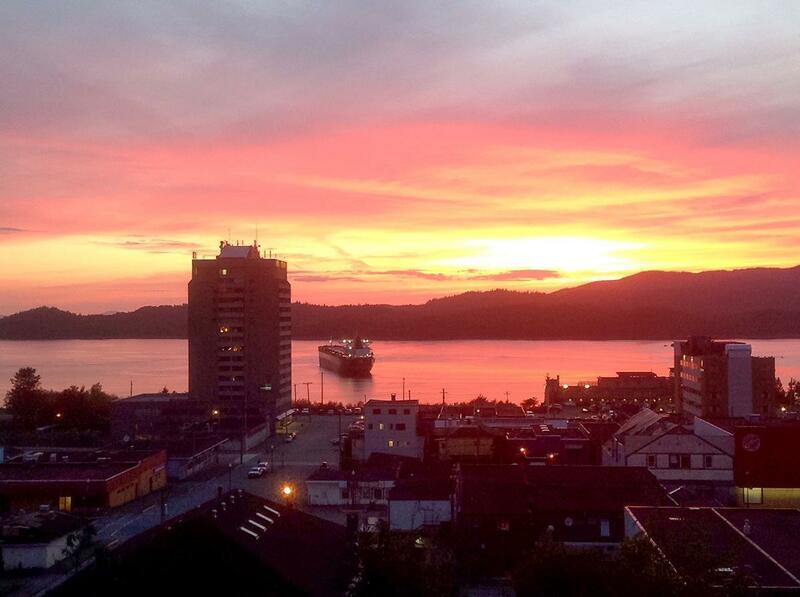 Pretty Prince Rupert, BC, Canada, at sunset. 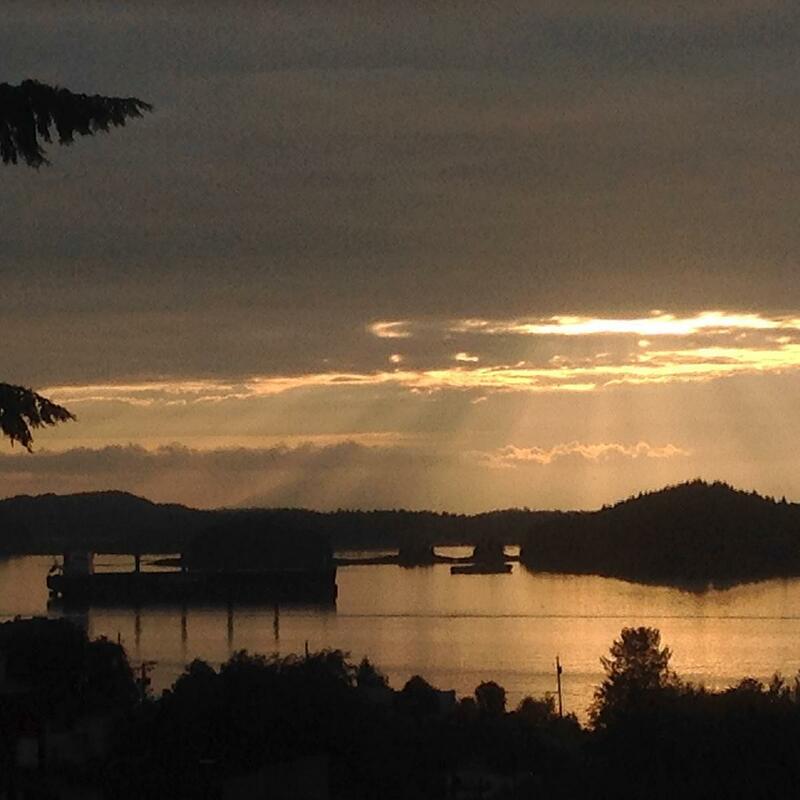 Just before the northern British Columbia coast turns into the Alaskan panhandle, there sits a small town on a harbour called Prince Rupert. Known as one of the rainiest places on earth, Prince Rupert is a solid 2-day drive from Vancouver or an overnight ferry ride from the north end of Van Isle. That being said, a trip to Rupert may just be a highlight of any BC road trip. Small town mentality combined with outdoor nuttiness reigns supreme here, with friendly folks, gorgeous hiking and boating, and views of sunsets my Uncle Doug just can’t get enough of. I lived in Rupert for two summers working as a gopher at a fish plant and loved taking in the beauty of this small town nestled in BC’s North Coast wilderness. Prince Rupert can get you even deeper into that wilderness, with whale watching trips as well as day excursions to the Khutzeymateen Grizzly Bear Sanctuary, a protected grizzly reserve where, from the safety of the boat, wildlife voyeurs can spy the most powerful of bears without disturbing them and staying bodily intact. When most folks think of Squamish, they think mountains and forest, which is 50% correct. 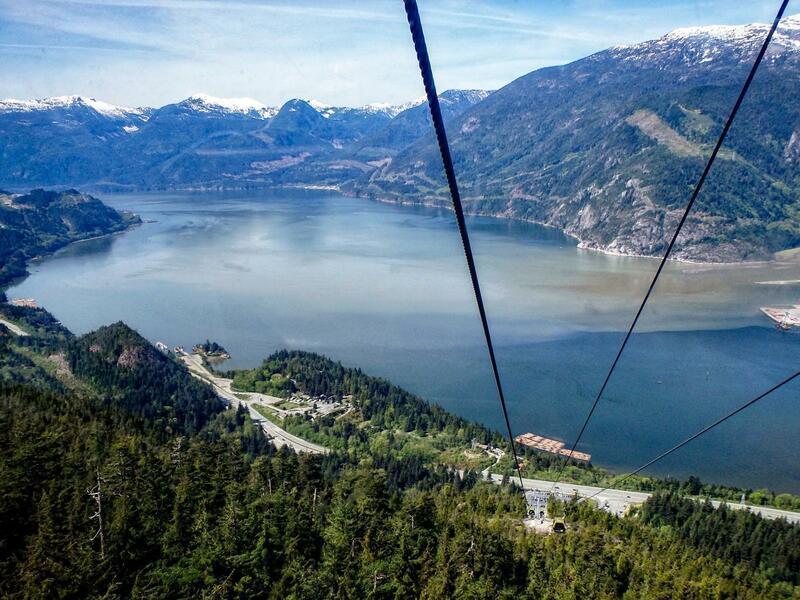 The bustling town of Squamish sits at the end of Howe Sound, making it a coastal gem. Long a hub for logging and mining, Squamish has become a true outdoor paradise with hiking, rock climbing, kayaking, trail running, and mountain biking the hot ticket activities of the day. Still a relatively small town, Squamish is only about 40 minutes north of Vancouver and has some of the coolest attractions in the area. Conquering the Chief is a requisite for any BC hiker, and soaring high on the brand new Sea to Sky Gondola will get even the most mountain timid folks up into the clouds. Crescent Beach is a small seaside neighbourhood in the city of Surrey, a suburb in the greater Vancouver area. 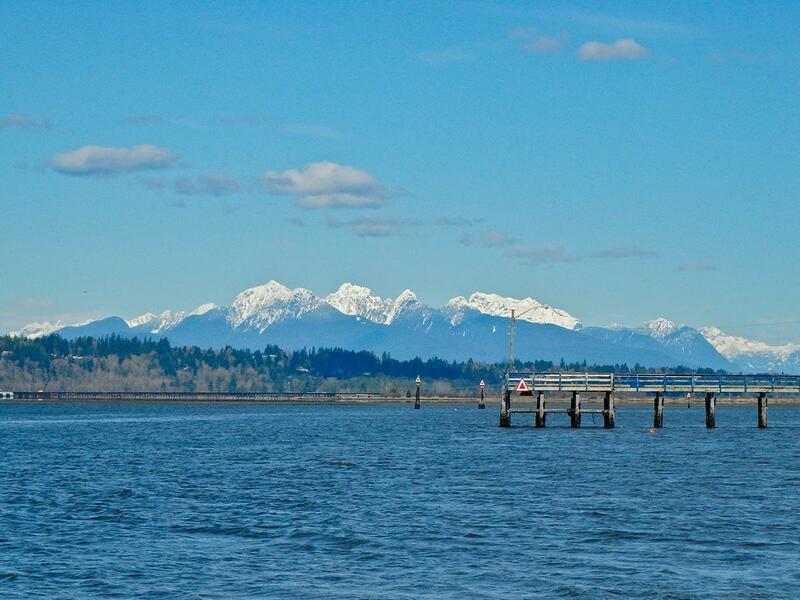 Crescent Beach makes this coastal list because it’s so dang accessible and beyond adorable. The village area has multiple cutesy cafes and seafood eateries, but the beach itself is the real draw. Clean and sandy, Crescent is never too crowded, even in the summer, and the residents are pretty chill, so they probably won’t call the police if you have your dog off leash (which you shouldn’t, I’m just saying…). 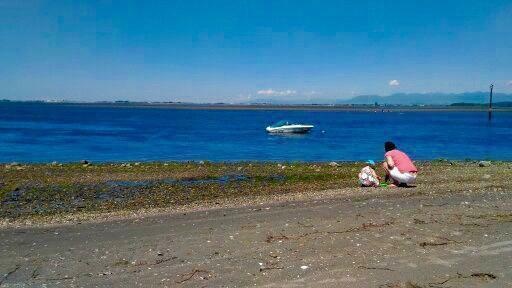 I have spent many hours laying in the sun with my friend Glynis, and now her little one Alice, gazing across the Bay at the North Shore Mountains, thanking the universe for allowing me to live in such a gorgeous part of the world. 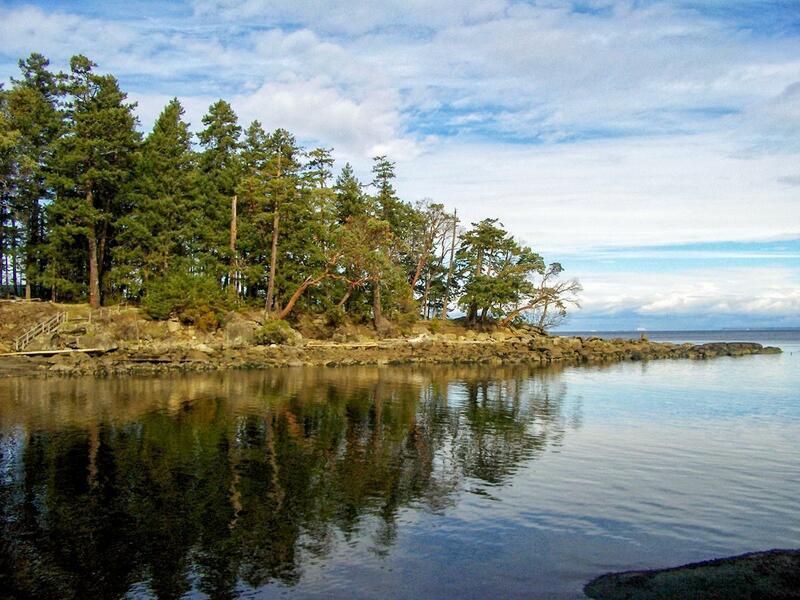 One of my favourite places on earth is one of the Gulf Islands. These islands are located in between the BC mainland and Vancouver Island, are northern counterparts to Washington State’s San Juan Islands and are collectively known as maybe the hippiest place in Canada. Perhaps the world. 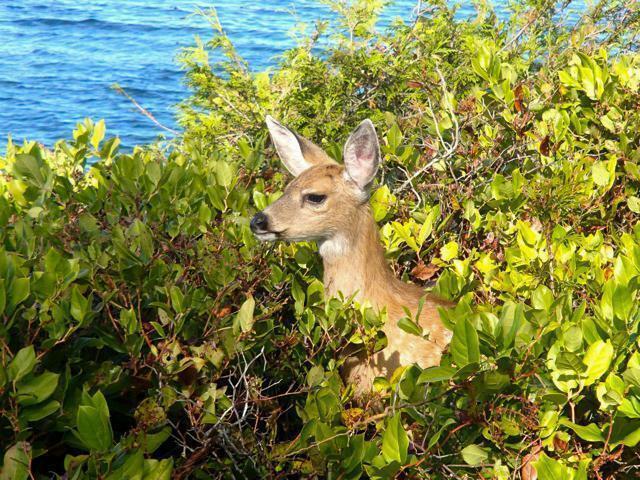 For my childhood, two weeks every summer were spent on Galiano, one of the lesser-developed of the Gulf Islands. The beaches, the parks, the hikes, and the laid back vibes are what make the Gulf Islands so unique. 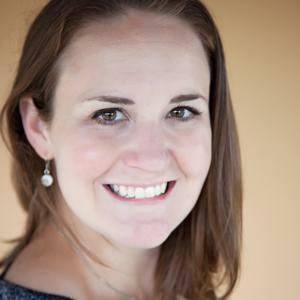 The Best of the West Coast is felt deeply here, and the residents want to keep it that way. 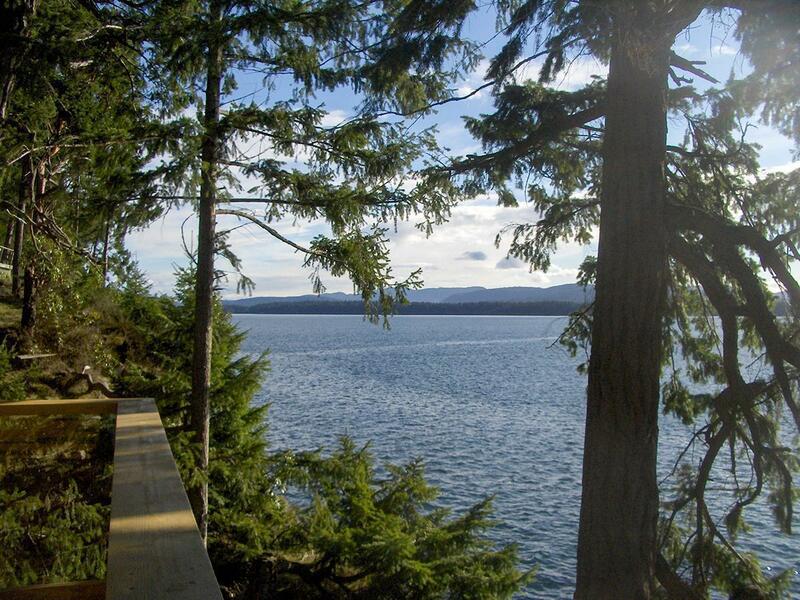 The first riding in Canada to elect a Member of Parliament from the eco-sensitive Green Party, the friendly residents of the Gulf Islands care greatly for their environments and their lifestyles, exhibited by a general lack of tourist development and amenities. 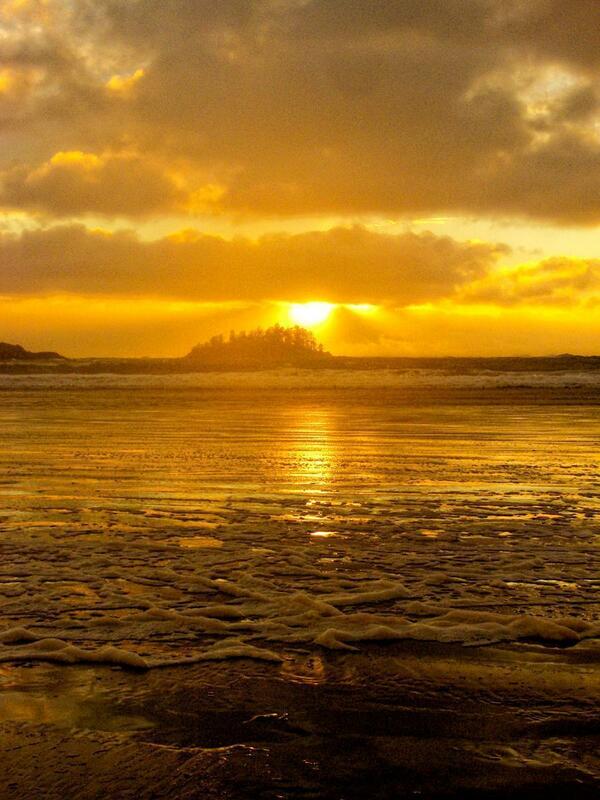 Tofino’s Long Beach is the perfect place for a sunset stroll. 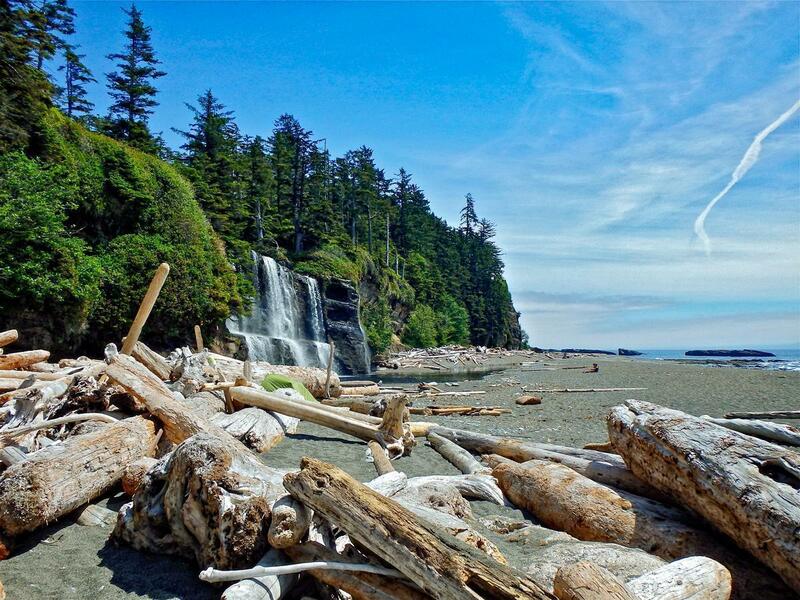 No list about the beauty of the West Coast could be complete without Tofino. Canada’s premier, and only, surfing destination, Tofino is the village hub of a long string of beaches along Vancouver Island’s Central west coast. The beaches are flat, sandy and long (one is actually named Long Beach), with crashing waves of all sizes ideal for the surfboard. Beachcombing the Tofino coastline could turn up any number of treasures, but the true find of this hard to get to gem is the relaxed vibe and chilled out mentality of the locals. 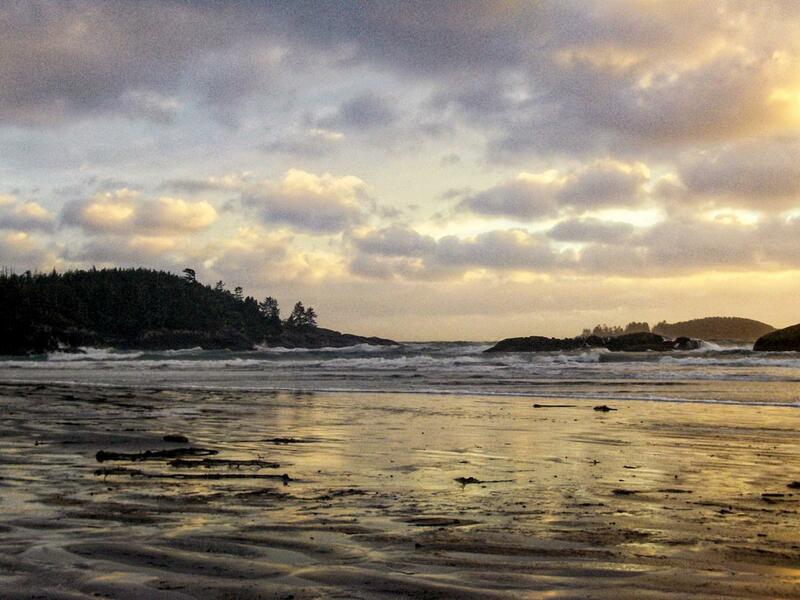 Spend enough time in Tofino, and your walking pace will slow while your worries seem further away. Which they probably are, Tofino is pretty remote! 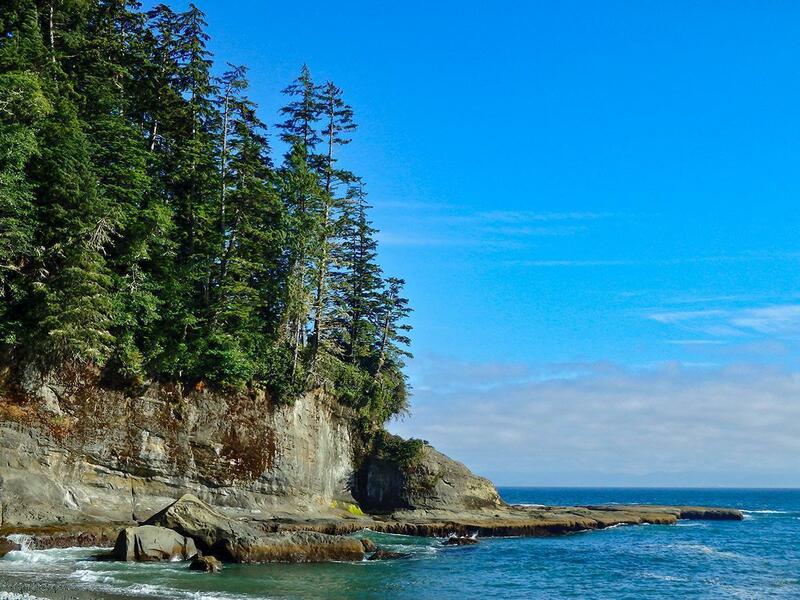 If you thought Tofino sounded remote, it’s nothing compared to Haida Gwaii. Two large islands located to the west of Prince Rupert, Haida Gwaii is difficult to reach, but an absolutely epic destination to discover. Largely undeveloped to the naked eye, a world of rugged coast and totem poles, Haida Gwaii is the traditional homeland of the Haida Nation, a proud community of Indigenous people who are forever tied to their land and their waters. The primary industry is charter fishing from the several fly-in fishing lodges, but the real pull for me is the stark natural beauty of Haida Gwaii. Unlike anywhere else in the world, there is something almost magical about stepping off the boat and back in time. The connection of community amongst its people is obvious. It’s not that they don’t like outsiders they just don’t need them! Take a ride on the BC Ferries for views like this one of Horseshoe Bay, Vancouver, BC. Not a location per se, but any visitor looking to experience the West Coast will step foot on a ferry at some point. BC Ferries is the private though government funded (I know, what?) company that plies ferries large and small, up and down, and across the waters of BC. 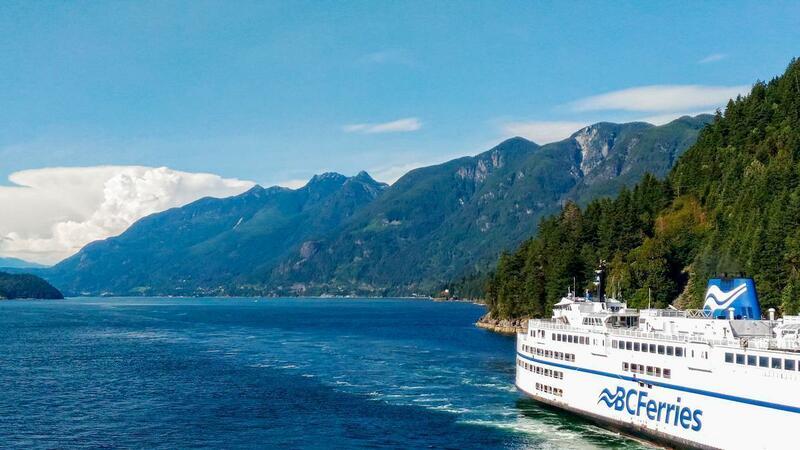 The major routes will take you between Vancouver and Victoria or Nanaimo, but plenty of small boats go to the Gulf Islands, the Sunshine Coast, and the North Coast. Ferries have come a long way and are pretty luxurious these days. The brunch buffets are adored and, on clear sunny days, lounging on the decks as the wind blows past is what West Coast dreams are made of. Bonus experience: When the Captain makes an announcement mid-sail letting slip there are whales portside. 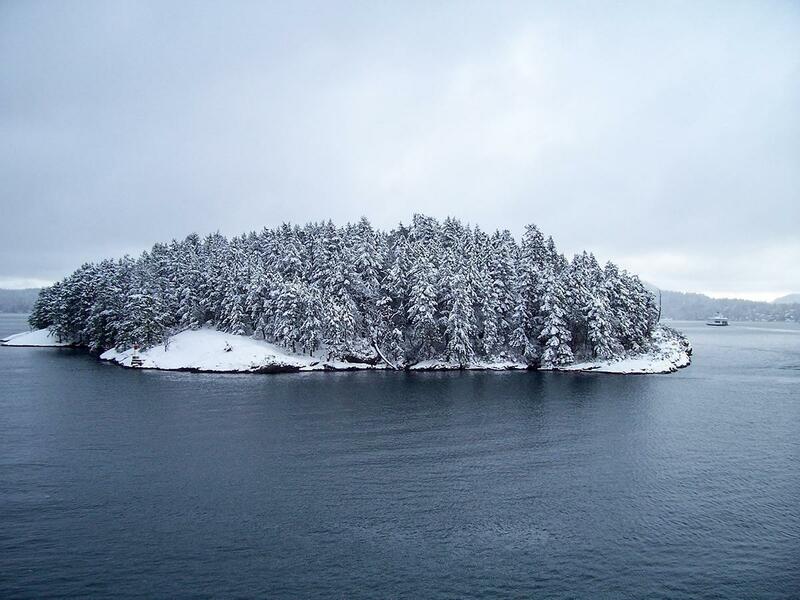 Even in winter, the views of the Gulf Islands from BC Ferries are impressive. If I have yet to convince you the West Coast of British Columbia rocks, well, there is always Vancouver, consistently ranked one of the best cities in the world. Truly unique, Vancouver is sandwiched between the ocean and the mountains, meaning you could go hiking, paddle boarding, and snowboarding on the same day, depending on the season. There are plenty of awesome nature and wildlife activities to enjoy, including Stanley Park, one of the largest urban parks in the world and has a 10km long seawall while the city’s many beaches play backyard to all. 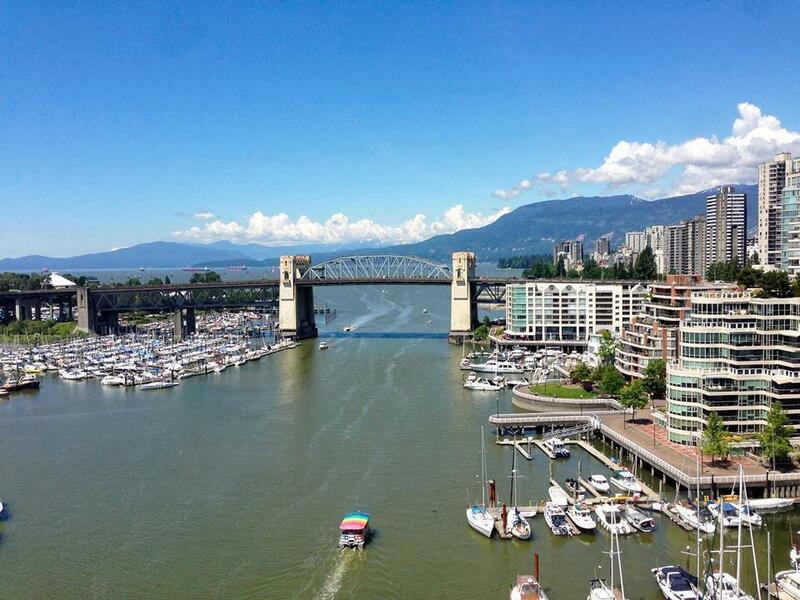 Don’t forget to pick up your Vancouver City Passport for savings at more than 50 attractions. The pass is good for 90 days! A seriously awesome food scene, Vancouver eating is top notch with restaurants featuring food from every background imaginable. With festivals, concerts, live theatre, museums, galleries, and the Aquarium, not to mention professional hockey, soccer, and football teams, you would be hard pressed to be bored in Van City! All in all, the West Coast is awesome. There truly is something for everyone, and whether you visit with an RV, a bicycle, a boat, or only your backpack, there is no way to avoid the beauty of this phenomenal coastline. Connected by water, but unique in every way, British Columbia’s West Coast is at the top of many bucket lists, so much so that I was born here, and I’m still exploring!